So, you're renovating - pinning 100 images a day, searching endless hashtags on Instagram #ihavethisthingwithfloors and googling the most unlikely of questions you thought you would ever be asking, "22mm copper pipe, or 15mm copper pipe?". It's fun, exciting, daunting and oh-so bloody stressful. Whether you're taking on a DIY renovation, a whole new-build project, a conversion or just remodelling the kitchen, the most invaluable aspect to renovating is being able to get advice and help along the way. And let's face it - sometimes looking through 50 odd google pages can just leave you more confused than you were before. The Homebuilding & Renovating Show, which travels throughout the country (next stop, London! ), is full of folk who understand exactly what renovating means. It's a show, specifically for renovators like you and me. 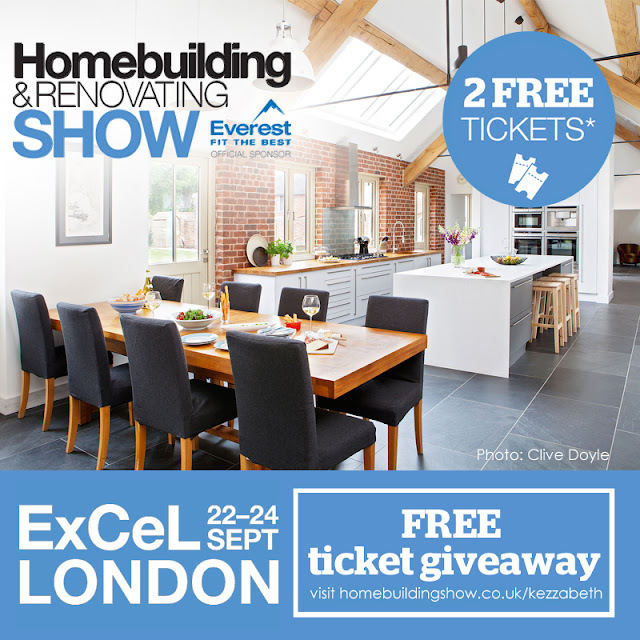 Unlike other home shows, which is mainly a shopping experience, the Homebuilding & Renovating show offers tons and tons of free advice to be gained from a visit. In fact, there's over 500 free one-to-one sessions where you can talk to self-build experts, architects, designers, as well as getting legal advice as well. It's great for DIYers (like us!) who don't have professional builders tackling the job for us, or perhaps if you're just looking to get advice on layouts and lighting arrangements without employing an expensive designer to do the designing aspect for you. Basically, if you're struggling to find answers to any renovation-related question or looking for some free help, this is the place to find them. There's also masterclasses to get involved with and seminars to leave you full of new and fresh ideas. Stuff that can't be gained from a pin-board or google search. So, if you want to bag yourself some free tickets and pop along to the next show which is in London (at ExCeL) on the 22nd to 24th of September 2017, just click this link to get your free pair!